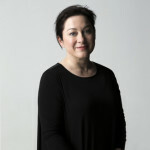 Gill Hicks’ story is one of compassion and humanity, emerging from the ashes of chaos and hate. Gill shot to international prominence in the worst possible way, as a survivor of the 2005 London Underground bombings. In this talk, she shares – for the first time – some of the most profound lessons she took from that devastating event.